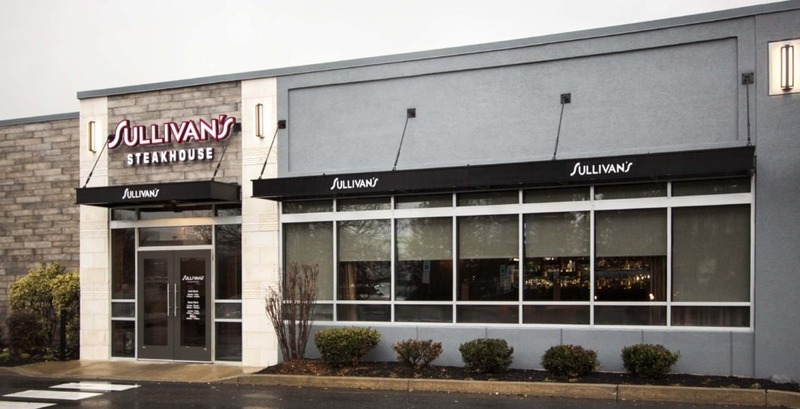 As soon as you open the door to Sullivan’s Steakhouse in King of Prussia, Pennsylvania, you immediately know the service will be impeccable and the meal delicious. 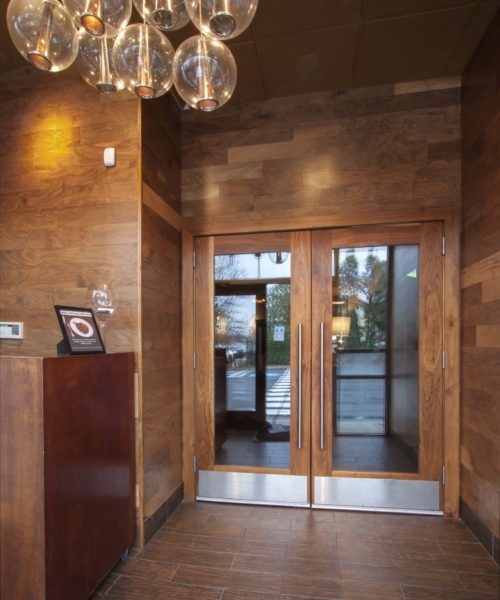 Beautifully crafted custom doors create an incredible first impression. 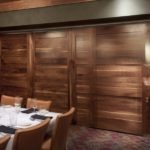 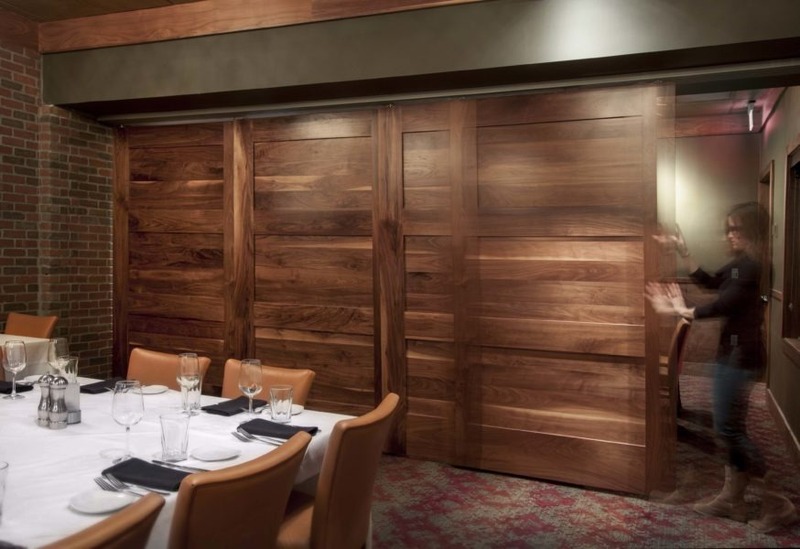 Seven Trees designed, handcrafted and installed custom walnut entryway doors for Sullivan’s Steakhouse that complement the dining experience and give guests an unforgettable evening out. 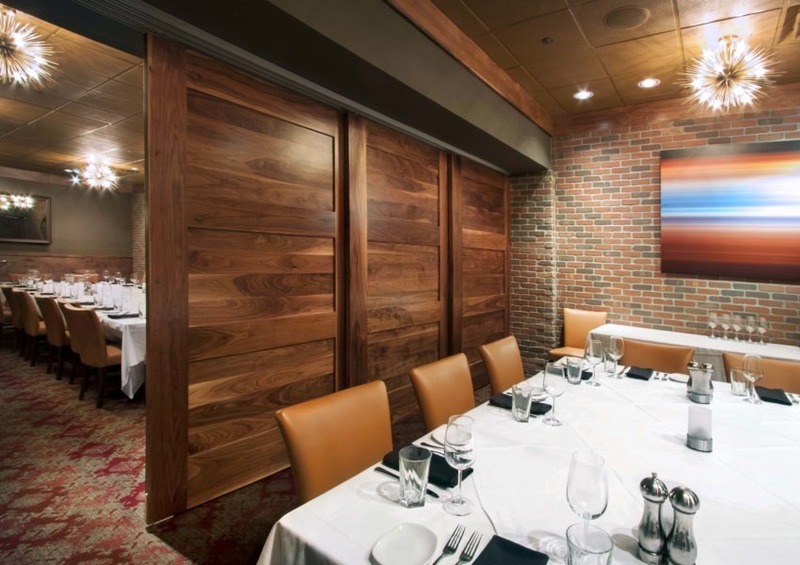 A set of room dividers was also incorporated to give Sullivan’s the option to welcome small or large parties to truly customize the space. 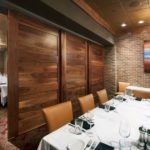 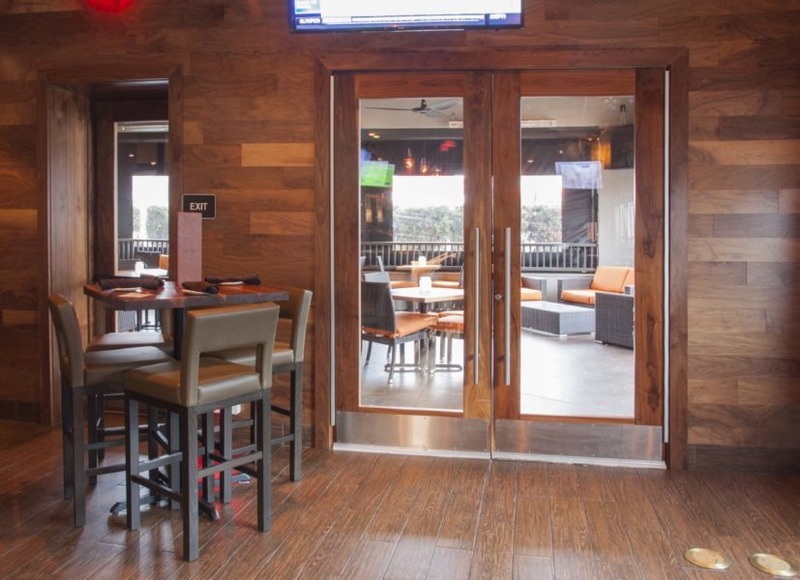 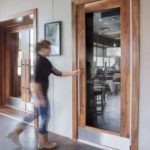 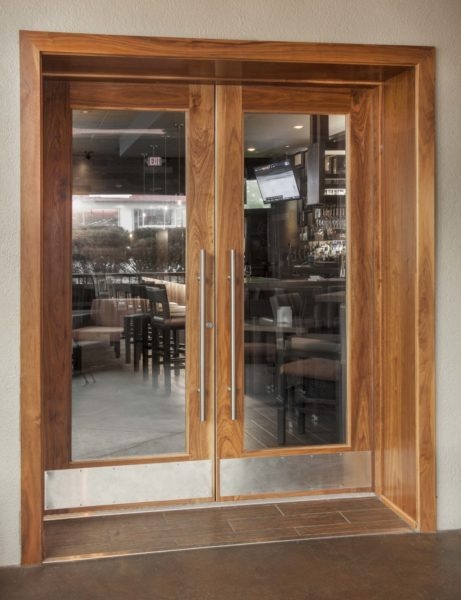 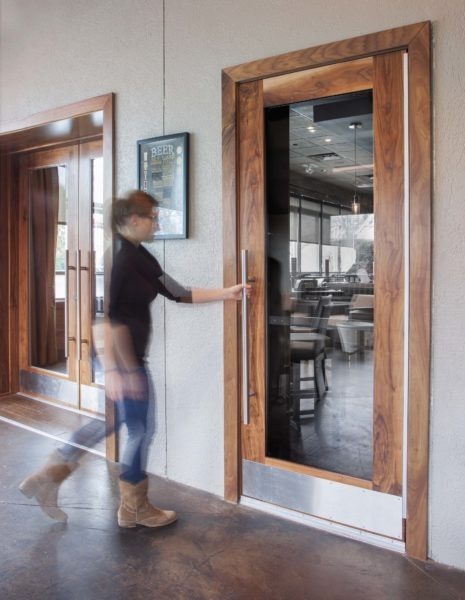 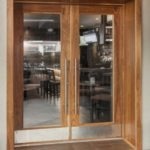 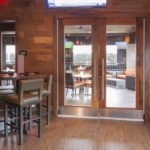 For more information about how custom doors can help create an unforgettable dining experience for your guests, contact us today to learn more and get started.